Today, Katie from Sew Woodsy is going to share a quick, cute little project with you, just in time for Valentine’s Day: A DIY Garden Flag. Hi V Spot readers! 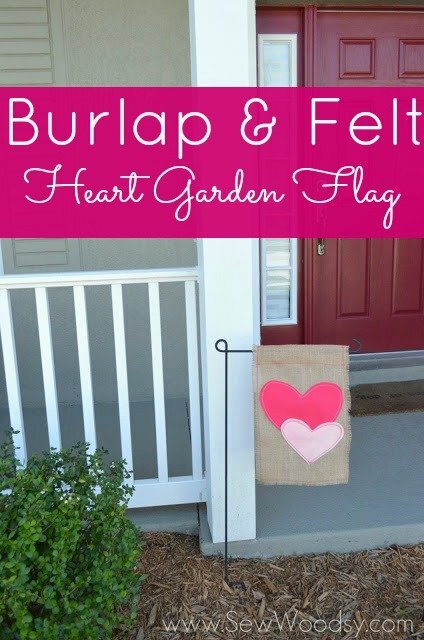 I’m so excited to be here today and share with you how you can create a Burlap & Felt Heart Garden Flag in under 30 minutes (that is if you don’t have a sewing fail like I did –you will see what I’ talking about below)! 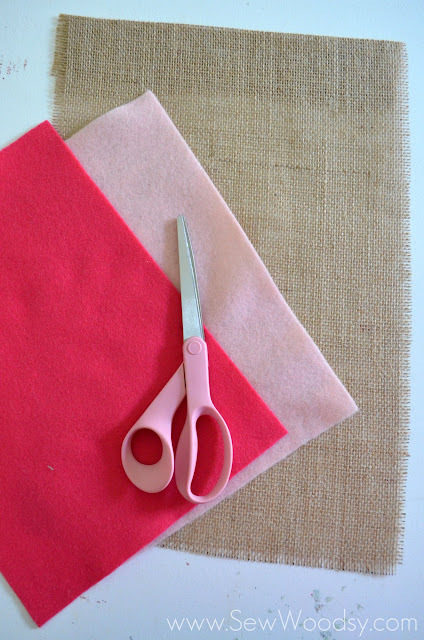 But before I show you how to create this easy-to-make garden flag I want to introduce myself. My name is Katie and I blog at Sew Woodsy with my husband, Jon (dubbed Mr. Woodsy on the blog). We are a husband and wife DIY team. We document our journey of home ownership one tutorial at a time. Sew Woodsy is a place where we share our love for renovating and decorating on a budget. We were lucky enough to not only meet Viv last year but get to hangout with her at Haven! I used an existing garden flag to pull the measurements off of it. I cut one piece of burlap to be 18 inches long by 10.5 inches wide. 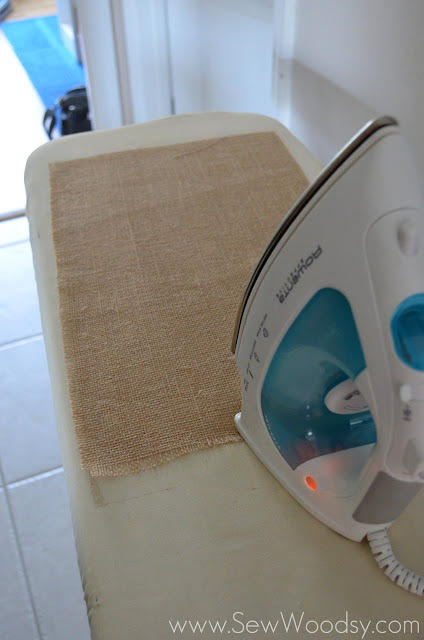 I ironed the burlap to get all the wrinkles out. 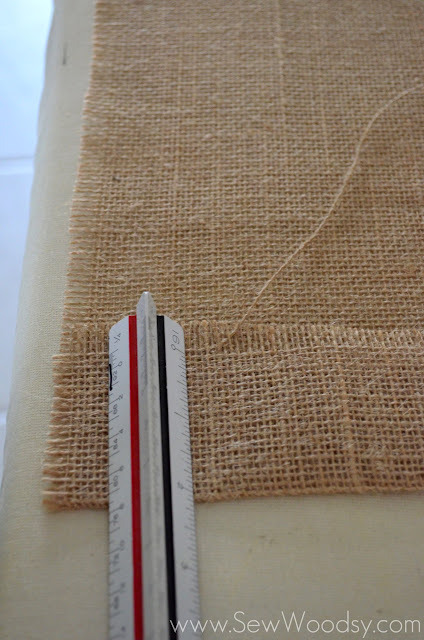 Then using my ruler I measured 2-inches and folded the burlap over. I pressed this with my iron to create a perfect crease. Next up, gather your felt and scissors. Fold one piece of felt in half. 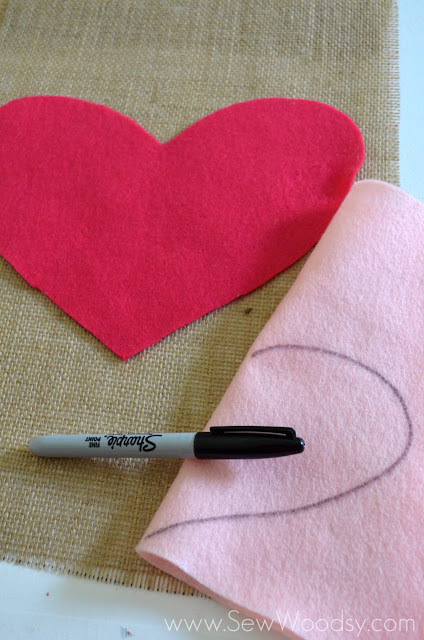 Using a sharpie marker (or any permanent marker) draw half of a heart on to your felt. Carefully cut out your felt heart. Not gonna lie… I’m impressed myself with this perfect heart shape! 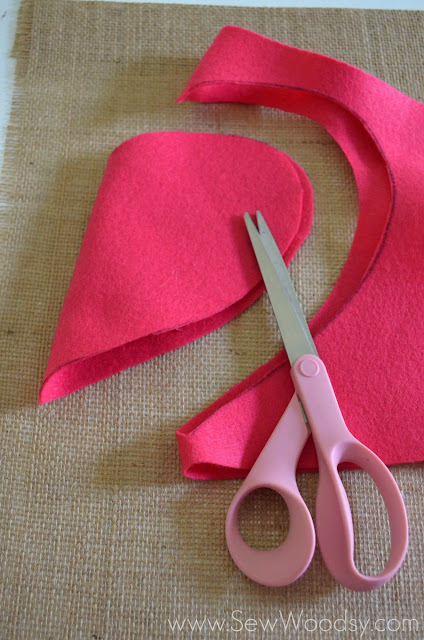 Then draw a smaller heart on a coordinating piece of felt. Two pretty darn perfect hearts if you ask me. 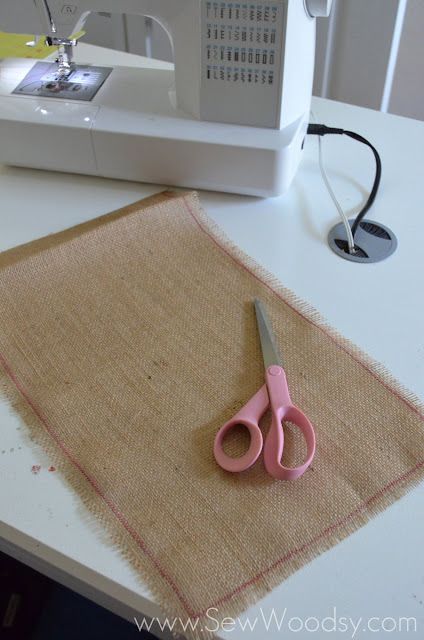 Next, you will want to sew around the perimeter of your burlap. I chose to sew using a dark pink thread and a zig-zag stitch. Now–I would love to point out the big fail I had here. I sewed around the entire perimeter and sewed the two ends shut where they should have been left open so I could hang the flag on the pole. I like to keep it real and show off my mistakes. lol. Ok, take 2! 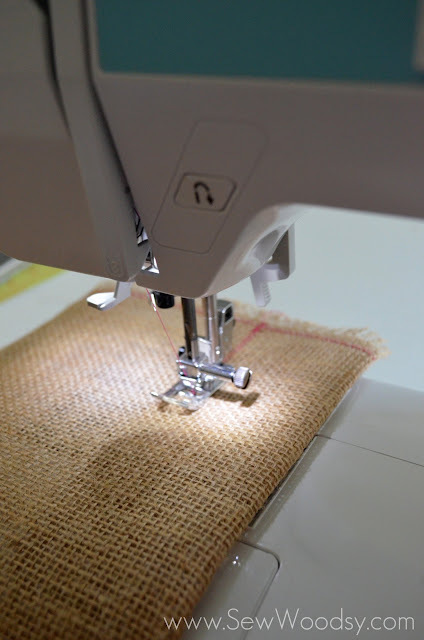 This time I realized I needed to just sew around the perimeter of the burlap (using a zig-zag stitch) and not bend the burlap over until I was ready to sew one straight line to secure it in place. 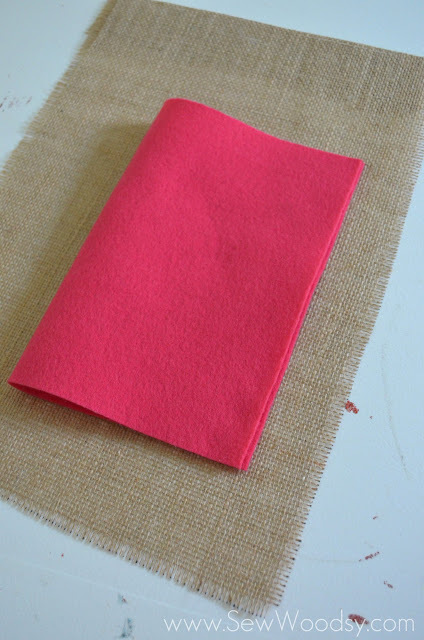 Then fold over the 2-inch piece of burlap and sew across creating a “pocket” so that your garden flag can hang on the post! See… much better! I didn’t sew it shut this time around! 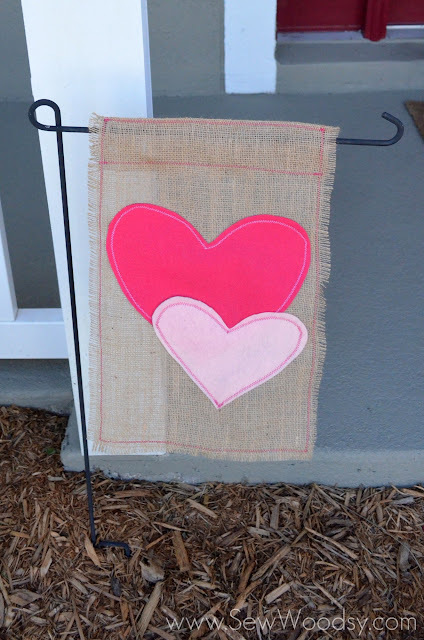 Pin your felt heart on to your burlap garden flag (where ever you want it on the flag. I decided to keep it centered. 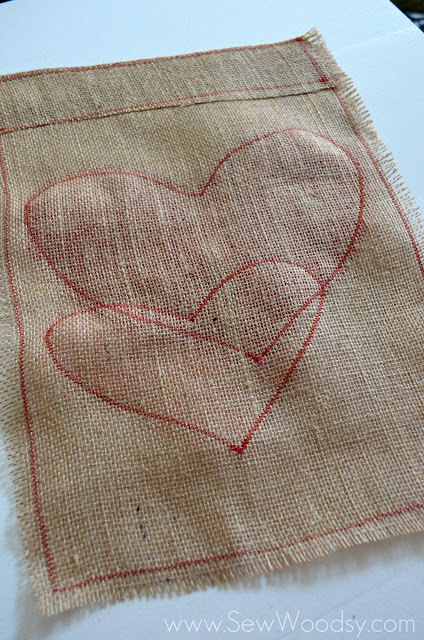 Using a zig-zag stitch carefully sew around the heart. I also used a light pink thread so that you could see the contrast of the stitching (I like the contrast). You’ll notice I started at the tip of the heart. I find this to be the easiest way to start sewing around a heart shape. The first larger heart is sewed on the banner! Pin your smaller (light pink) heart on to the garden flag. I decided to some-what overlap them. And once again carefully sew around the light pink heart. I also used a contrasting color and chose a dark pink for the light pink felt heart. In my opinion the smaller the shape the more challenging it is to move around and sew it! Both hearts on sewed on. This is what it looks like on the back of the garden flag. It actually doesn’t look too bad from the back and you can tell that I actually sewed on hearts! 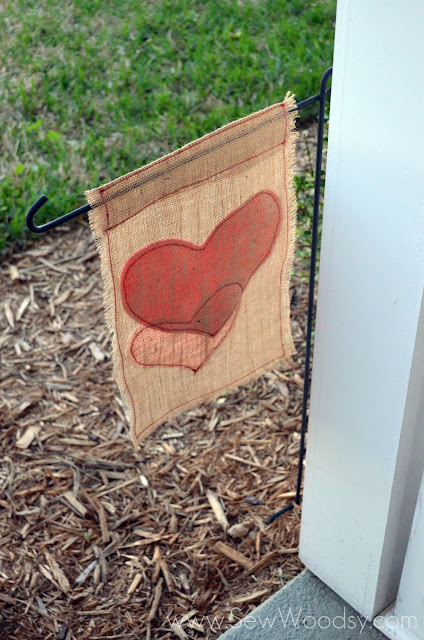 Finished Burlap & Felt Heart Garden Flag ready to be hung up in front of my home! Lastly, hang up your new garden flag with pride. I have to boast and say that I made this while Mr. Woodsy was away from the home. When he came home he asked where I bought the new garden flag. I proudly said, “I made it”! He was very impressed. So get ready to impress people you love! …and another view from the back! Thanks Viv for having me over and sharing with your audience how to create a Burlap & Felt Heart Garden Flag in under 30 minutes! Sending prayers and love for Mitch to have a speedy recovery! For more DIY projects you can visit us at SewWoodsy.com or find us on Facebook, Twitter, Pinterest, or YouTube. Adorable! I’ve been an admirer of Sew Woodsy for quite a while, and was very happy to meet Jon and Katie at the Haven Conference in Atlanta last summer. They are so nice, and the whole conference was talking about what a sweet couple they are. I love that they work together on projects. I love this cute Love Letter Bleach Pen Shirt which they probably whipped up in their super Craft Room, and then wore while they played with this cool DIY Bean Bag Toss. And? When they’re done working for the day, Katie whips up fabulous meals that she shares on her other blog, Katie’s Cucina. You should totally check that out too! Yummy stuff going on over there! Thanks for having me over Viv! Can’t wait to see you this year at a few conferences! This is so darling!! 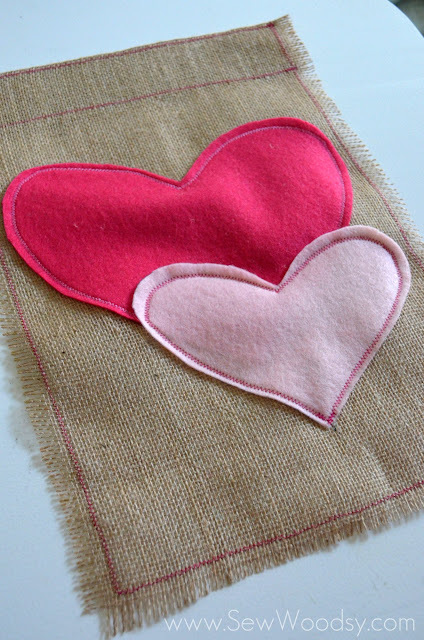 I love the simple felt hearts – this would be cute on a table runner too! This turned out fabulously, Katie! And I love that Mr. Woodsy mistook it for being store-bought. Way to go. This is adorable, and I have all the supplies to make it. Thanks for sharing, Katie and Vivienne! Great idea and project, so easy and inexpensive. Looks great, can think of several more things to put on flag besides the hearts. 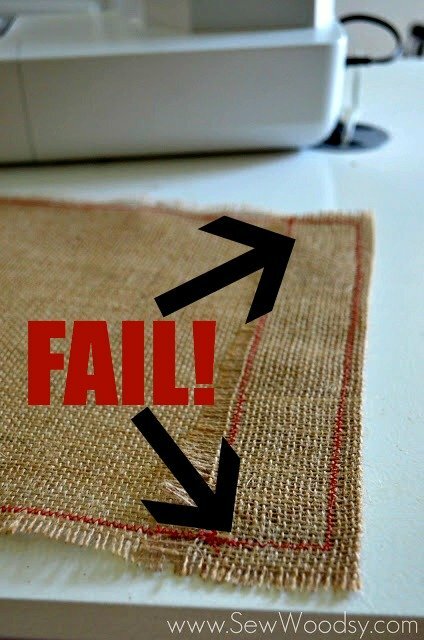 Only question I would have is how you sew with your machine on burlap. Guess my machine needs an over haul or something? It still doesn’t sew right, skips stitches. I’ve tried adjusting tension, stitch length but still having a problem and it really won’t sew on burlap, jams like crazy. 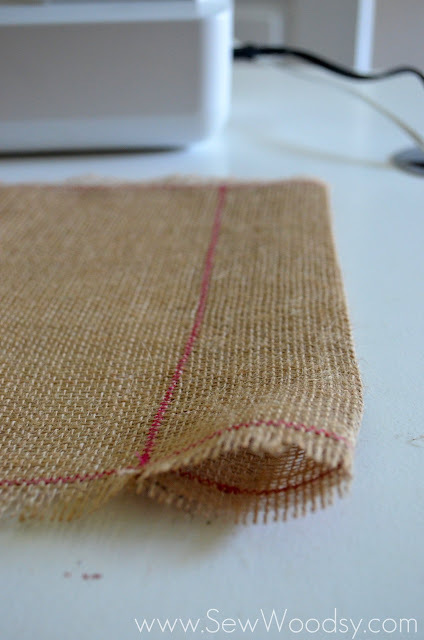 I end up having to sew by hand or use some other means of sticking things on the burlap. So glad you shared this project. Happy Valentines Day. Wow….!! beautiful and easy garden flag. definitely i will try it. Thanks! very cute (even many years later!). Thanks for sharing – especially the “fail” – i would have done the same thing and had to fix it – ha!